Have you ever thought of being a chef one day? 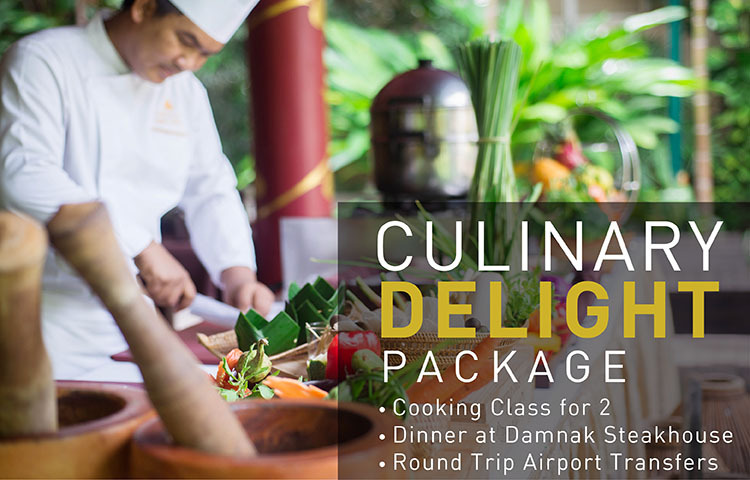 While travelling to Siem Reap, grab an opportunity not to just only experience it, but also be a really fine cook to tempt your taste buds. Discover the secret recipes of the authentic Khmer cuisine in Siem Reap while staying at Lotus Blanc Hotel to really experience the simple, authentic way of Cambodian cooking and take this chance to truly live with the Cambodian culture like nowhere else. As the sun setting down over the horizon, you can enjoying your dinner at Damnak Steakhouse, one of the best fine dining in town.